Can RITM SCENAR, DENAS, ENART and the microcurrent USAalikes Avazzia, InterX work for you? 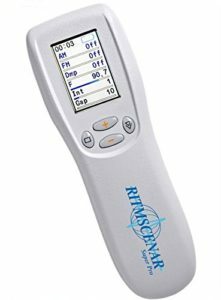 What is so unique about microcurrent devices like RITM SCENAR and DENAS; are the results limited to pain relief like TENS? Do you feel tired after a good night’s sleep, do you even get a good night’s sleep? Trust me, when you read below you’ll begin to understand the benefits of these microcurrent devices to charge the body and why you’ll soon be sleeping tight, wake up with more energy to match your desires for the day! We all test the healing waters when the pain gets tough to bear, I did for 35 years after a wall crashed on my head when I was 14. RITM SCENAR was huge in my recovery. People caught on “alternative” healing modalities merry-go-round medicine wheels end up spun out of their cash, hours of driving all over town to try one method after another, or worse one referral after another. Delivering increasingly often, short-lived minimal effects. Maybe even all the yoga, it worked for me, weights, acupuncture, meditation, diets and weight loss exercise regimes plus the long list of health supplements have already sent your hard earned money down the drain? On a scale of 1 -10 where would you like to be if you were to optimize your wellness? And you know that the killer allopathic methods only address the symptoms and manifestations of your health problem. The root cause remains unsolved, buried under your skin all because of a flat battery. So it worked for a while, but then stopped, but why? 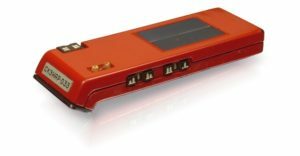 Only electricity at microcurrent power levels can quickly and non invasively recharge your body, solve your pain and more. Below is a short history of how this technology, like the RITM SCENAR and DENAS, evolved over the years and how the designs changed according to application protocols success and feedback from users. Bottom line is that you feel slight tingles, but keep the power down! The biggest benefit to the body is more energy. Tired? Brush the electrodes across your body and you’ll feel recharged and refreshed. and how these microcurrent devices deliver Star Trek performance from 40 years of solid Russian R and D.
If you are someone who is looking for a better, more effective and non-invasive treatment for your health condition, you will be pleasantly surprised at how SCENAR therapy can help you solve your pain, boost your energy and rejuvenate. How does it RITM SCENAR work? SCENAR is non-invasively sends tiny microcurrent electrical signals to charge the body with electricity. Just like a flat battery. If you feel tired after a good night’s sleep then SCENAR utilizes microcurrent biofeedback to analyzes and adjusts the electricity transmitted to the body. This quickly solves pain, boosts energy and even rejuvenates tissue. The device is positioned on the skin and sends a series of signals. 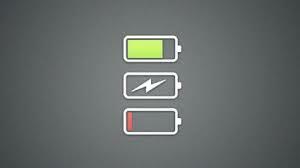 As the cells are charged with electricity the signal is changed until the cells are charged. This is called a dose. Specifically, the SCENAR type signal causes the long “c” type nerve fibers (peptidergic) to secrete neuropeptides and neuromodulators. The whole process is noninvasive and a natural way (with health effects similar to grounding, but much quicker) to recharge the body so it can heal even when all other therapies have failed. For first aid issues in as little few minutes and the longer time, you have had the issue, it takes longer. Self-Controlled Energy Neuro Adaptive Regulation or SCENAR is not new. In fact, it has been around for more than 40 years. It became known in Europe in the late 1990’s and then the good news about the remarkable “Start Trek Device” spread to America and the west. In 1975, Dr. Alexandr Alexandrovich Karasev, from Taganrog, Russia an electrical engineer seeking fast acting health solutions after members of his village suddenly got sick one cold winter, refined his early TENS type device, then known as ENS or Electro Neuro Stimulator. These were made from milling the casings and installing the electronics inside. Three years later, Karasev approached Dr. Alexander Revenko for clinical trials. Dr. Revenko was working as a neurology clinic in Taganrog. Revenko refused at first. But Karasev was adamant. He waited until Revenko was leaving work and they agreed to take a look at it his ENS device. Revenko received unexpected and distinctive responses with the device. For years, Karasev and Revenko worked together and their partnership yielded excellent results. The device ENS-01 was developed. Alongside, Revenko also worked with engineers from “MIDAS” and developed devices: ENS-02, ENS-03. These devices were given to doctors in Rostov and Taganrog for clinical trials. During the 1980s, the director of OKB “RITM” Vladislav Zacharevich monitored the development of ENS and introduced it to Military and Space organizations. At the time, they were looking for a method of treatment that was energy efficient, portable and non-invasive and circumvented the space flight problem of toxic waste storage. The solution they devised was a repeatable therapeutic treatment using electrical signals to stimulate the immune system, the body’s own healer. It was in 1985 that the name SCENAR was used. Initially, Revenko suggested CENAR but it sounded like “canary” in Russian. At the suggestion of Alexandr Nechuschkin (President of Russian Acupuncture Association and Expert of USSR Health Care Ministry), CENAR became SCENAR. 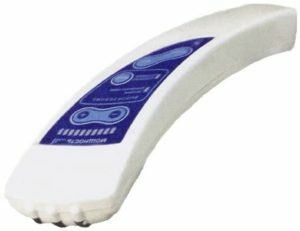 Full-scale production of SCENAR took place in 1986 when Revenko presented first SCENAR to USSR Health Care Ministry in order obtain permission to produce the device and use it in clinical practice. OKB “RITM”, at its factory “Pryboj”, started preparations for the production of SCENAR – devices. Then, in 1987, SCENAR was awarded Silver and Bronze Medals at the Main Exhibition of the USSR. At the same time, the first SCENAR – patent was awarded to the following five individuals – A.Revenko, A.Karasev, A.Kibirev, V.Zacharevich, A.Nechuschkin. At this same time, OKB “RITM” opened its first Medical Centre, where the first SCENAR practitioners were: Peter Kruglov, Alexandr Dogadkin, Yuri Gorfinkel, Leonid Pac, Sergej Pobokin. Revenko simultaneously opened his own Medical Clinic “Biocorrection”, where he practiced SCENAR therapy, together with 10 other SCENAR Practitioners. From 1989 to 1995, OKB RITM produced different types of SCENAR devices like SCENAR-033 with solar-powered batteries, SCENAR-033M, SCENAR-032, SCENAR-035. Karasev continued to work as an engineer for OKB RITM until he started his own laboratory LET Medical. The first SCENAR training was held in 1992 in Divnomorsky, on the Black Sea. The first teacher was Dr. Revenko. Since then, SCENAR Training Seminars have been held regularly and A. Revenko invited Peter Kruglov, Sergej Pobokin, and Yuri Gorfinkel to become his teaching team. Two years later, the first annual International SCENAR conferences were hosted. In 1996, the world started to discover the healing potential of SCENAR. As a result, some people produced copies of the Russian device, with and without permission from the inventors and patent holders. 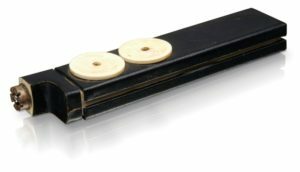 The first model came from Boris Vernik with “SCENAR-032A”. This was followed by Armen Avakyan with “AcuSCEN” (no longer); then A.Ryavkin with “DENAS” or Dynamic Electro Neuro Adaptive Stimulator (designed by Karasev); “Fenzian’ with James Colthust, “Inter-X” with Zulia Frost and her Neuro-Energy Group. Karasev also launched his own line called “COSMODIC”. In 1998, the first international SCENAR Training Seminar took a place in Nassau in the Bahamas. The first teachers were Alexander Revenko and Yuri Gorfinkel, with interpretation provided by Irena Kossowskaia, the event’s facilitator. Today the SCENAR is widely used in Europe, while the DENAS is more popular in USA, Australia, Canada and New Zealand. Do SCENAR, DENAS or ENART, really work? 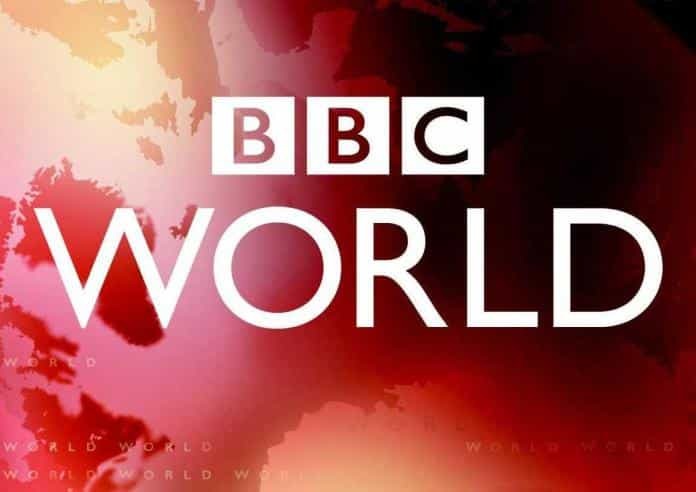 During an interview with BBC World Transmission, Karasev described the phenomenal benefits of using SCENAR therapy and how it can help heal the body quickly and effectively. “I can demonstrate it on anything – even the – wrinkles on the skin, Rejuvenation. If you compare the treated and non-treated parts of the face, for instance, you can see the difference clearly. Or if you have a bruise somewhere – it’ll take 10-15 minutes to demonstrate the initial effect. I have introduced the SCENAR to maternity hospitals and it heals all the bruises and traumas in newly born babies within a few minutes”, explained Karasev. However, Karasev also emphasized that this device is not a magic wand or a miracle device. During the Russian clinical trials in the 1980s, it was proven that SCENAR can help heal multitudes of diseases and health conditions affecting all parts of the body. The trials were done on 18,255 people with diseases of the circulation, digestion, ears, eyes, nerves musculoskeletal, respiration and urogenital systems. The healing rate? The SCENAR achieved 88.50% cure rates across all disease groups. Here are the full results of the trial. The SCENAR is so effective that sports coaches and athletes swear by its quick healing results. During the 2000 Olympics in Australia, it was dubbed as the Russian athletes “secret weapon”. Application of SCENAR allowed athletes to compete after sustaining serious injuries. In accident and emergency wards it is used to aid recovery from cardiac arrest, massive trauma, and coma. It has also proved beneficial in burns, fractures, insect bites, allergic reactions, immune disorders, depression and other mental afflictions, dental problems and skin conditions. If you answer yes to any or all of these questions, then SCENAR therapy is definitely for you! You are probably caught up in a mind game, debating with your thoughts whether to adopt a health and wellness lifestyle. However, our mind can play tricks on us. Maybe you have been feeling better after a few days but suddenly you come to a healing crisis when you experience low energy, difficulty sleeping, and irritation. You feel like quitting. Then, you find yourself back in the same health rut you were in. What do you do? You need to break this cycle so you can achieve your peak performance in life. It’s not just about the daily green smoothies or natural energy boosts, pills or supplements, diet and exercise dogmas anymore. The most advanced health and wellness strategies are beyond these. If these regimens are promising you best health with a 30-day program or less, you are up for empty promises. Worst you will end up frustrated. Why? Because the 30-day program may work for others but not for you. Each of us is unique and we need different strategies in order to achieve optimal wellness. And it will never happen overnight. But you can achieve it depending on your own pace, body response, and commitment. Try it today! Get your free health assessment report to find out which SCENAR and DENAS device is best for you.